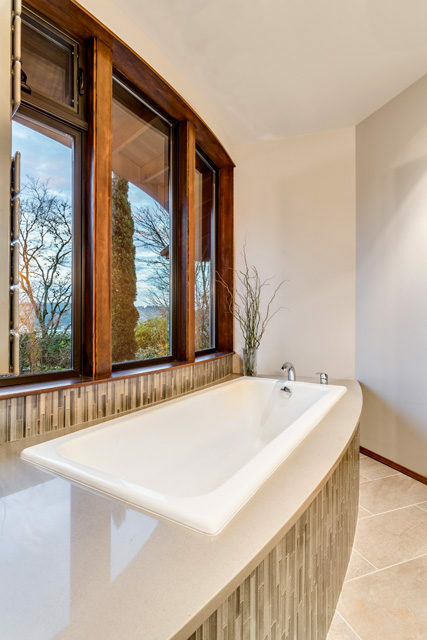 This home with mid-century details and a unique curving wall of windows sits on a hillside overlooking a beautiful lake. 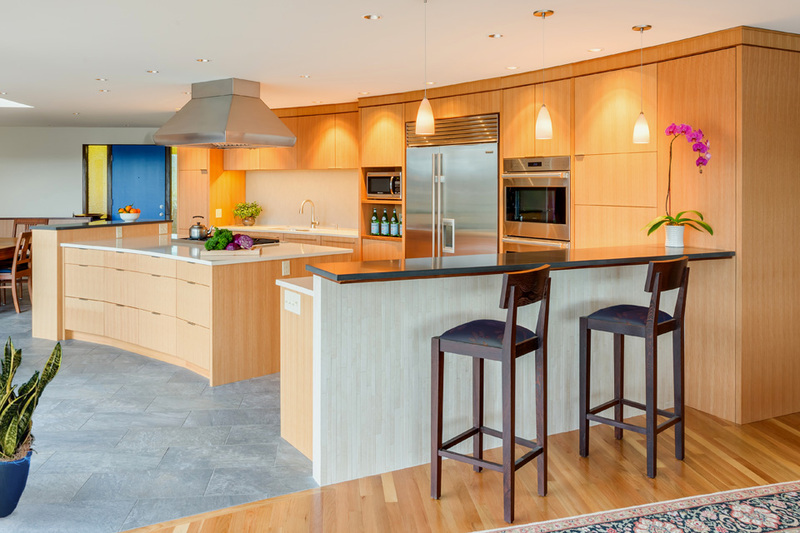 The clients came to us desiring a new open plan kitchen and a new master bath, all of which look out this curve with floor to ceiling views of the lake. 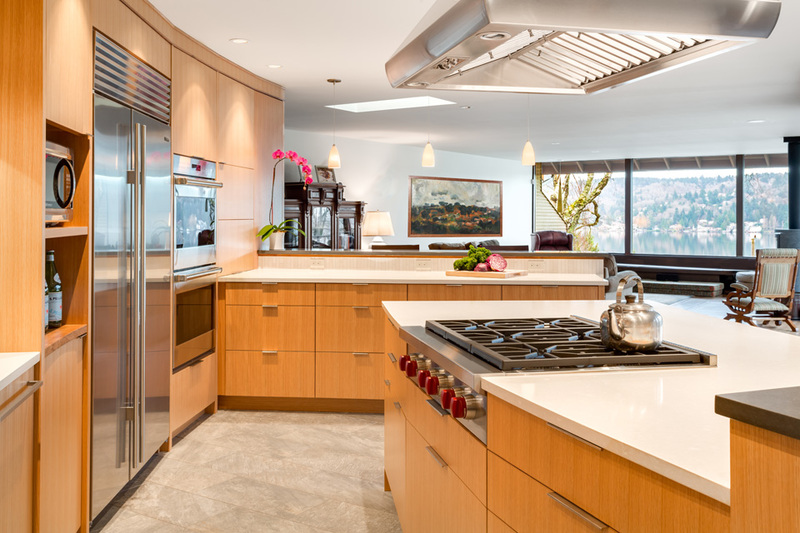 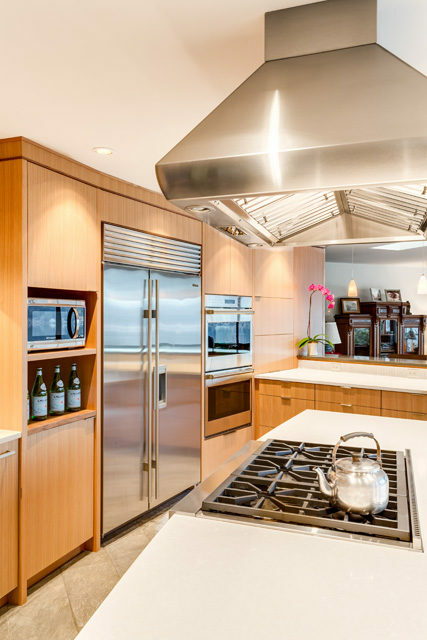 The design truly embraces and emphasizes this curve with tapered cabinetry and curved counters. 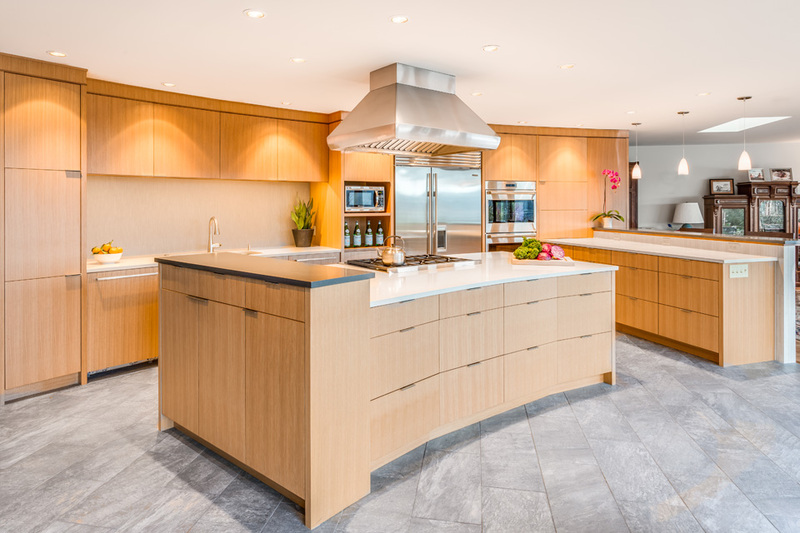 With a raised bar top at one end and a raised storage cabinet at each end of the kitchen island to create separation between dining and living without closing off the spaces. 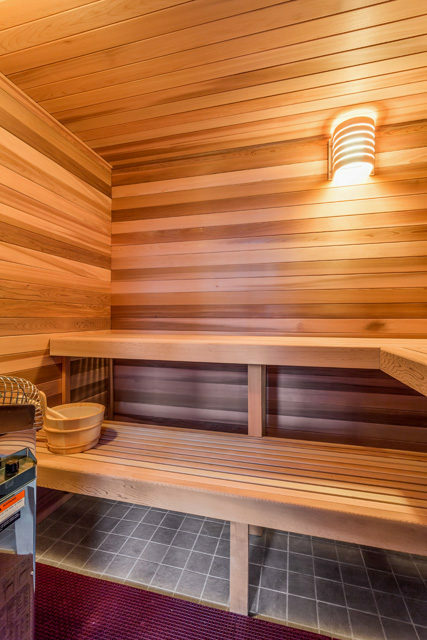 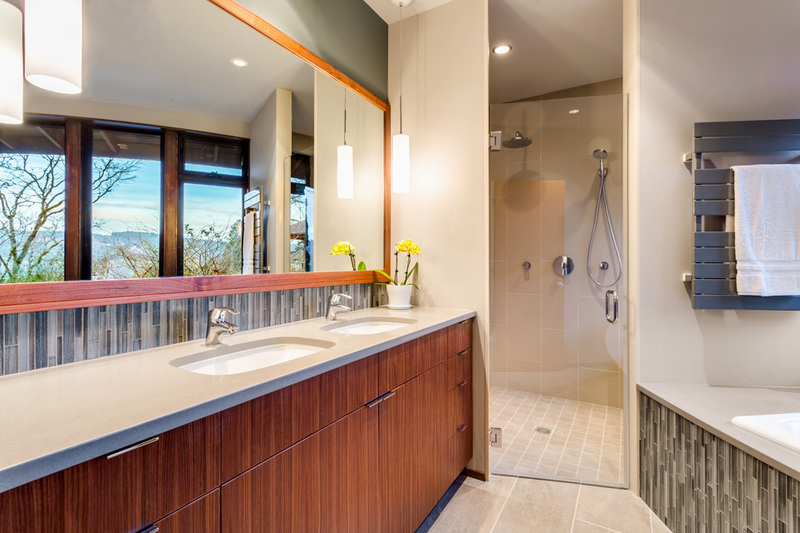 The bathroom features a bathtub that looks out the large windows and also has a cozy cedar sauna within the shower. 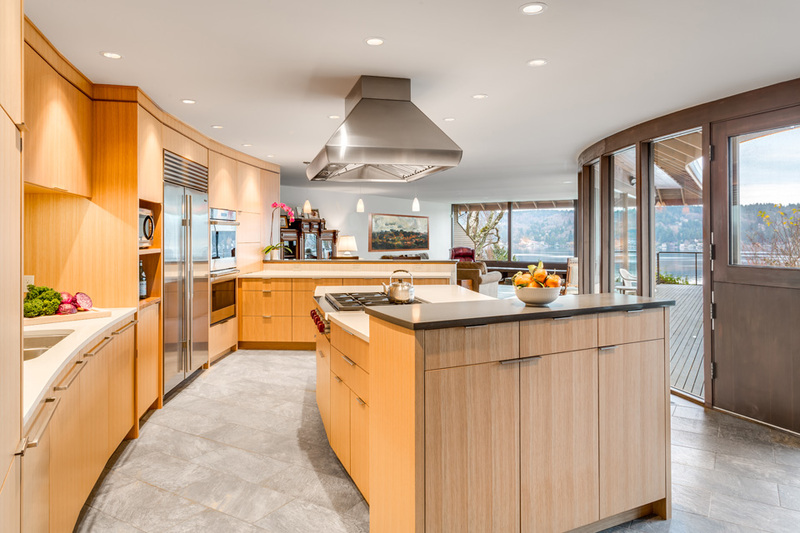 With utilizing modern techniques and technology and high quality construction and cabinetry all by Bristol, a stunning remodel was accomplished within a fairly modest budget.